Celebrate finishing this challenge as you paddle downriver to a picturesque Caribbean beach. If there’s one country that has every possible challenge for a great adventure it has to be Costa Rica with a tropical climate that supports an incredible biodiversity encompassing thick rain forest, mangrove swamp and a handful of live volcanoes thrown in for good measure, the result is a destination made for adventure. This Costa Rican coast to coast multi–activity challenge has it all, covering 250km, you will hike, bike, kayak and white water raft across the Continental Divide on an epic team journey from the edge of the Pacific Ocean to the shores of the Caribbean Sea and experience the breath taking beauty of Central America. The only requirement is a great sense adventure and a dose of stamina. Rest time is as important as being active, so we will have plenty of time to rest up each day in different locations having trekked, cycled or paddled to incredible overnight points. Our itinerary has been carefully designed by our fantastic local team who completed the first coast to coast crossing of Costa Rica in 1996. Preparation is key for this journey from the Caribbean to the Pacific. To complete the coast to coast adventure comfortably, it is preferable that you have previous experience of multi-day treks and cycling in varied and irregular terrain. The trekking or cycling sections are not technically difficult, however you must be a confident with a good level of fitness in order to manage the long duration of challenge with crossing the country. The more you prepare, the more you will enjoy your experience. The regions we visit on the trip are very remote and you should be prepared to spend time in areas where facilities and services are limited. Roads are mostly unpaved and although well-maintained they can be bumpy and dusty. Due to the unpredictability of the climate, you will also need to be prepared for all conditions as the weather can change extremely rapidly. Trekking and cycling hours stated are given as approximates only. Timings stated include lunch and photo stops and will vary depending on the pace of your group. No previous experience in kayaking or white water rafting is necessary, however you are required to be comfortably capable of swimming 25m or more. Rest assured you will not be alone – we will be on hand to support you on this epic journey, with comprehensive training programme and in depth challenge information plus a fantastic support team will accompany you throughout your Costa Rican adventure. The tour includes all accommodation, private transfers too and from San Jose, park entry fees, support team, local guides, cook and meals whilst on the trip . It does not include insurance, airport tax if applicable. If anyone needs to leave the group at any point during the trip, all expenses incurred until re-joining the group on the itinerary described in these Trip Notes are the responsibility of the individual(s) concerned. For a new trip set up on dates that suit you, your charity or corporate organisation, we require just 10 people. This challenge is available between January – May & September – December. Please get in touch with us via the contacts page or send us an email at info@adventurousewe.co.uk if you would like more information on the Costa Rica Coast to Coast Eco Challenge. Arrival our local crew will meet us at the Airport in San Jose. Overnight: Hotel in San José. Naranjillo to Santa Maria- Trekking (11km)/Mountain Biking (14km). Pacuare River – Mountain Biking (43km)/Whitewater Rafting (10km). Day 10 – Pacuare River – Whitewater Rafting (3-5 hours, 17km). On the trek the emphasis is on a varied and well-balanced diet with a greater amount of fresh fruit and soup to maximise the daily intake of fluids to help with acclimatisation. Vegetarians are well catered for but please inform us before departure of any special dietary requests. Please note that in Costa Rica the availability of certain specialised products for restricted diets, e.g. gluten-free or dairy-free, is minimal or non-existent and we strongly recommend you bring these specialised dietary items from home. Energy snacks are provided for the daily walk such as biscuits, bananas, and chocolate bars. Bringing your own snacks can often be a treat especially when trekking or cycling. Be sure to bring some of your favourite treats. Lunch – either a packed lunch on longer days or, more usually, a hot lunch served in specifically set up lunch camp. Afternoon tea – served in late afternoon. It is an opportunity to drink lots of hot or cold drinks and snack on peanuts or popcorn. Dinner – the main meal of the day usually consists of three courses; starter: soup and bread / main: rice, potatoes or pasta with fish, meat or vegetables / dessert: usually fruit. Eating is one of the wonderful experiences when travelling in Costa Rica. Included meals are a combination of restaurants, local food and delicious meals prepared by the tour guides. Most nationalities do not require a tourist visa for Costa Rica, including British nationals. We recommend that you check with the relevant embassy for the most up to date information regarding visas. It is your responsibility to have the correct personal documents and obtain your own visa, if one is necessary. Adventurous Ewe is not responsible for the actions of local immigration and customs officials, whether at points of entry or otherwise. Travel insurance is compulsory for all our overseas expeditions. It is a condition of joining this expedition that you must be fully insured against medical and personal accident risks (to include repatriation costs and air ambulance or helicopter rescue services where appropriate). We strongly recommend that the policy also covers trekking, cycling and white water rafting, personal liability, cancellation, curtailment and loss of luggage and personal effects. At a minimum of 4 weeks prior to departure you must send through your travel insurance details to Adventurous Ewe. You will also be asked to present evidence of travel insurance and the insurance company’s 24-hour emergency contact number to your guide on arrival in Costa Rica. Adventurous Ewe prioritises the safety of all of their trekkers and staff, and as such have developed a thorough safety management system. This encompasses comprehensive risk assessments and procedures together with audits of all aspects of your expedition from vehicles to accommodation to the high altitude trek activities. Your health and safety is our top priority. 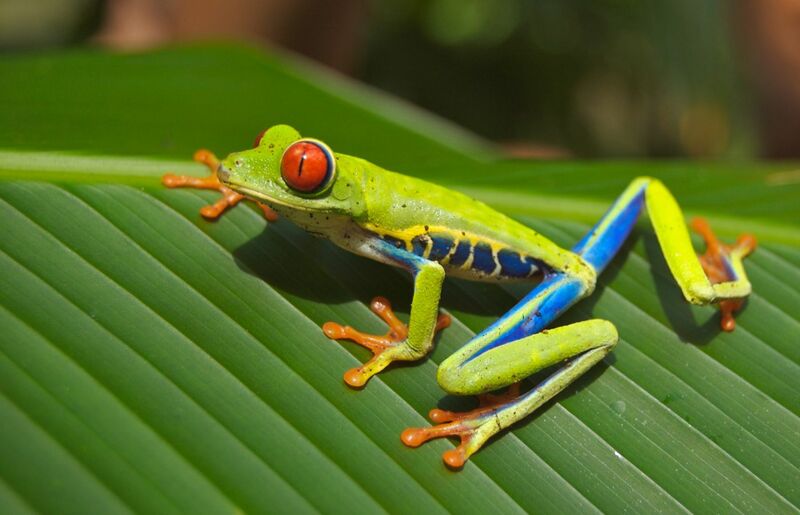 Costa Rica is one of the safest Central American countries for travellers and serious crimes are rare. But as with all places where tourists and crowds gather petty theft can be a problem. In the same way that health risks can be avoided with a few sensible precautions, so can security risks. Mountain bikes with front suspension (TREK 4500 or similar). You will need to supply your own bike helmet. Rafts are 7-person, self-bailing (6 pax + 1 guide) with certified lifejackets, helmets and paddles. Sea kayaks are plastic sit on top 2-person sea kayaks. All luggage, food, water and camping equipment is carried by vehicles you will be expected to carry a day sack for items needed during the day: sunscreen, camera, waterproofs etc. Walking and mountain biking is on terrain ranging from good open track to narrow and overgrown jungle paths and is very steep both up and downhill at times. We are travelling through remote mountains where we could be exposed to a variety of weather conditions at any time. It is essential that your luggage is carried in either a soft sailing bag or soft rucksack. Bags must be waterproof, or their contents waterproofed in plastic bags (your sleeping bag and mat must fit into this bag). To complete this trip comfortably, it is preferable that you have previous cycling experience and your comfortable cycling 60km a day on consecutive days. The walking or cycling is not dangerous or technically difficult, though you must be a confident with a good level of fitness in order to manage sections of the trip. During the trip you will be required to carry your own kit including snacks, drinking water, wet weather gear and personal items such medication and toiletries. The walking and cycling hours stated are given as approximates only. Timings include lunch and photo stops though will vary depending on the pace of your group and weather conditions. We wake up between 06.00 – 06.30 and start the day with breakfast. After filling our water bottles, we start cycling or trekking as a group, your trek leader will set a slow pace, with the supporting staff and U.K. Leader amongst the group to offer support to the team. There will be regular short breaks to rest and refuel on snacks and water and a longer stop for lunch. On arrival into our overnight stay, there will be time relax enjoy a hot or cold drink, before sitting down together for our evening meal and a briefing by your leader on the following day. All main meals – breakfast, lunch and dinner are prepared, cooked and served by our supporting team when camping or in local restaurants and hotels.